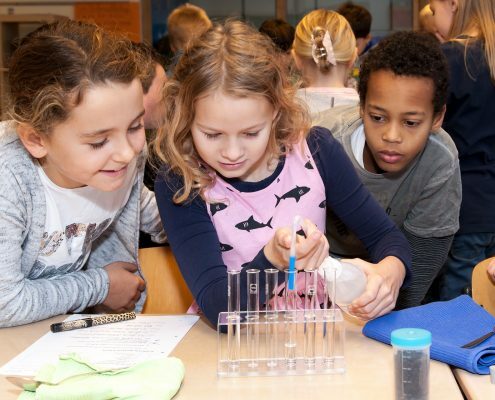 Experimenting and discovering scientific correlations – a long-term interest in the world of chemistry is to be ignited in children and adolescents with school lessons. LANXESS has been working toward this goal for the past ten years with an education initiative relating to the MINT subjects. MINT stands for math, IT, natural sciences, and technology – subjects which are often already integrated and taught in an interconnected way and which have taken the place of traditional chemistry classes at school. 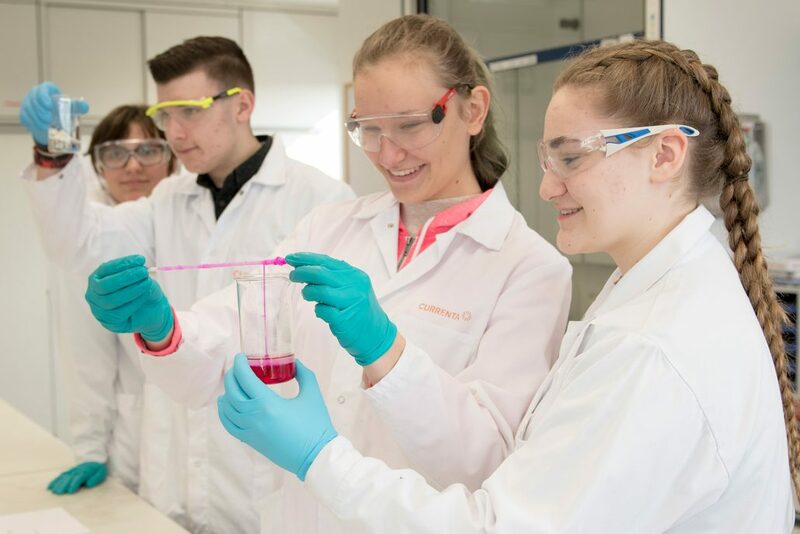 The education initiative supports schools at LANXESS locations in Germany and elsewhere with a wide variety of MINT projects because the schools are often unable to offer demonstrated chemistry and physics lessons due to a lack of teaching materials and modern equipment. In many places, the teachers are forced to provide teacher-centered instruction in outdated classrooms, much like giving a lecture. This prevents MINT from being fun. The LANXESS education initiative enables teachers to give modern and, above all, practical classes. After all, lessons should be interesting and enjoyable. The students themselves should be able to experiment and actively participate, otherwise their appreciation and enthusiasm about the MINT subjects cannot grow. 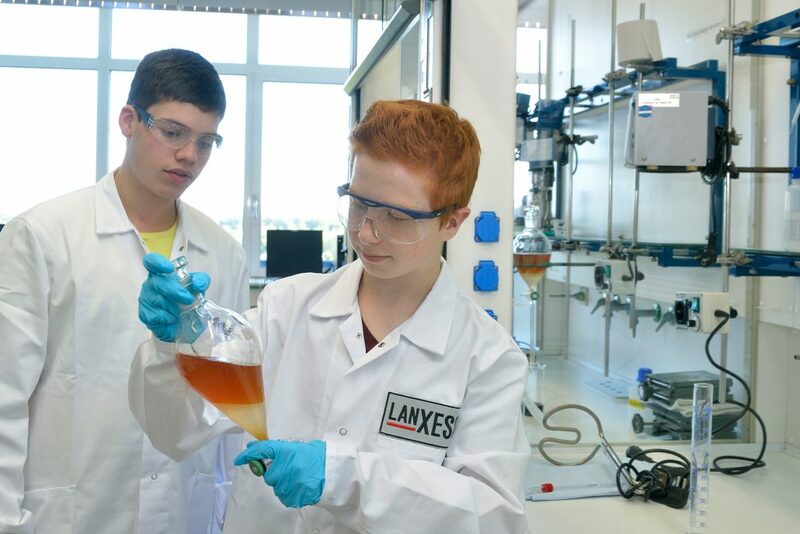 LANXESS initially supported seventh and eighth grade junior high school classes at its production sites in North Rhine-Westphalia such as Leverkusen, Dormagen, and Krefeld. This is the age at which the pupils tend to begin with MINT classes in Germany. 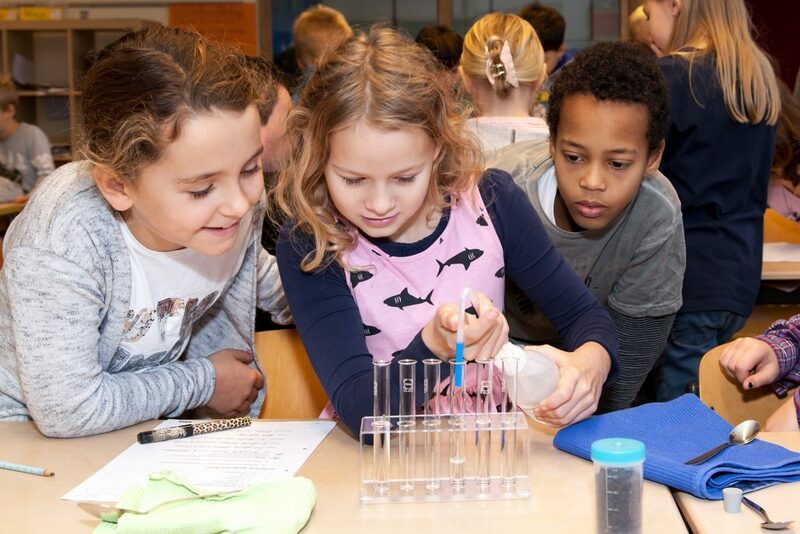 LANXESS now financially supports the realization of natural science teaching projects at 33 schools throughout Germany near its company sites. 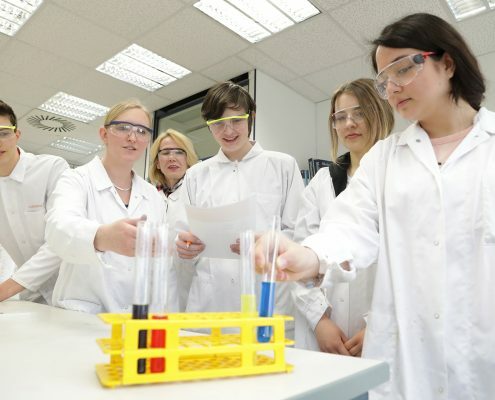 The program includes visits to local LANXESS laboratories and tours of the chemical park. Schools can apply for project support twice a year. From the numerous applications submitted, an average of 25 to 30 projects are financially backed funded each year ranging from helpful teaching materials to construction projects on the school grounds. Since 2011, the initiative has also been promoting general knowledge teaching to third grade primary school children. Young pupils in particular are very curious and enjoy researching on the basis of practical examples. The “Grundschulchemie” (Primary School Chemistry) experimental kit developed especially for primary schools is therefore particularly popular. The set contains the utensils needed for experiments, with everything from test tubes to safety glasses. The experiments are mostly about the solubility of substances in water. Meanwhile, children in 15 countries are introduced to basic chemistry working methods with the help of the experimentation set. The initiative is now active and running at LANXESS locations in 17 countries worldwide. School and teaching systems vary greatly from country to country, however, as do the social circumstances. The projects that are sponsored therefore are very different, too, and do not necessarily focus on experiments relating to the MINT subjects. Those responsible at the local level decide which projects will be supported, in consultation with the Group headquarters. For example, LANXESS eqiupped a school in Brazil with homework rooms, paved a schoolyard in South Africa, and donated much-needed equipment in India. 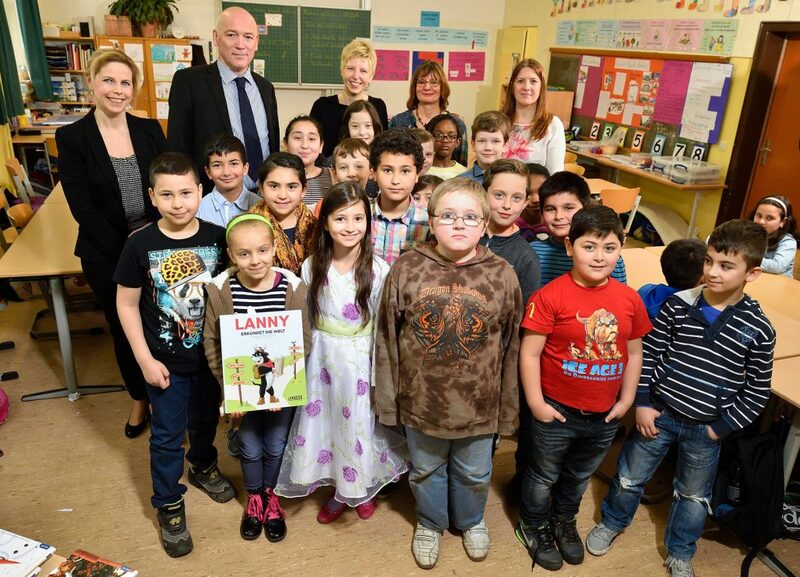 The education initiative was established in 2008 as a key component of a sustainable corporate policy at LANXESS. The focus has been on education right from the start. The future is reliant on education – this applies not only to societal development, but also to a company’s lasting success. 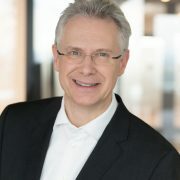 The education also underlines LANXESS’s commitment to Germany as an economic and chemical location. The LANXESS education initiative has been involved in all sorts of school projects, be it the development of a water rocket, luminous sneakers, or an energy house in the schoolyard. 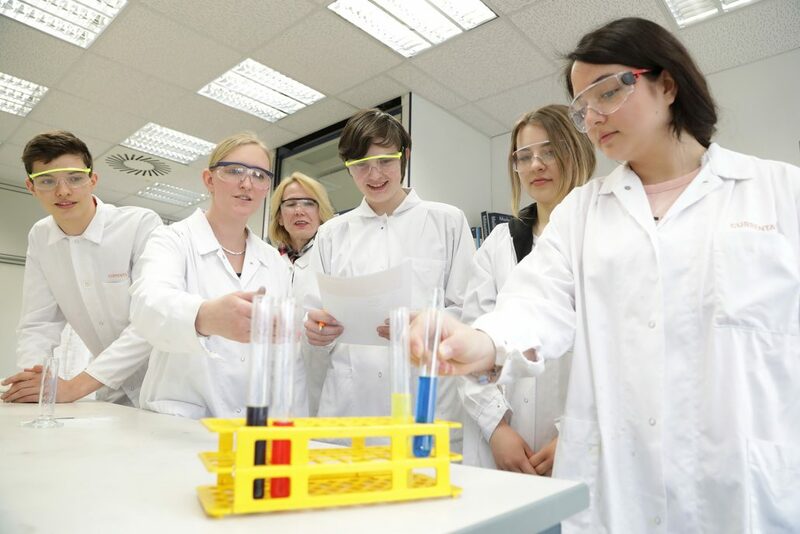 As cofounder and head of the initiative, Dr. Silke Jansen champions the promotion of the natural sciences in schools, thereby fostering the next generation of skilled workers for the chemical industry. In our interview, she speaks about the future of the MINT subjects (mathematics, IT, natural sciences, and technology) and about unusual classroom experiments. You have supported more than 200 projects over the past ten years. Thinking about all the ideas that were proposed in this time, to what extent would you say chemistry as a school subject has changed? Jansen: A lot has changed since we launched the initiative in 2008. We are witnessing a trend in the direction of ever greater interconnectivity between chemistry, physics, mathematics, and IT, in other words the MINT subjects. Schools wishing to make a mark with their teaching of natural sciences will need to offer a joined-up MINT concept in the future. As our education initiative also supports interdisciplinary projects, we help schools on their way to achieving this, with some of them even becoming MINT schools. We were initially skeptical as these topics diverged from conventional chemistry. But after a number of interdisciplinary projects, it became clear to us that MINT was the future. So it’s not just about chemistry, it’s about MINT. Does this development influence which projects you select in the future? Jansen: Yes, we are seeing a trend in the direction of a MINT focus in the project submissions. Chemistry is part of MINT, after all. We are currently receiving a lot of requests for support with digitalized projects relating to MINT, for example. At the same time, topics of a more environmental nature always appeal to schoolchildren, such as water and environmental pollution. One school in Dormagen now even has a MINT club. Among other things, senior pupils have built a water rocket with which they measure trajectories and distances. This is no longer “pure” chemistry as a subject, but the schoolchildren get very involved in this kind of project, and this is something we are more than happy to support. In this respect, interdisciplinary MINT teaching is exciting for us, too. What have been the most unusual experiments that you and the schoolchildren have experienced over the years? Jansen: There are a number that come to my mind. In Brunsbüttel, for example, a high school class built an entire energy house in their schoolyard. The energy house was firstly equipped with various sensors and a weather station and was fully insulated, allowing the schoolchildren to directly measure, calculate, and compare energy conservation effects. This was followed by ninth grade pupils working in small groups to independently produce the synthetic materials polystyrene, polyurethane, and polyphenolic resin on a laboratory scale, for use as the synthetic insulating materials in the energy house. These insulating materials were used in the house one after the other and the building exterior was then recorded on a thermal imaging camera, allowing the pupils to compare the insulation properties of the three different synthetic plastics. This is what modern MINT teaching is all about. At a secondary school in Bergkamen, all the grades are working on a herb garden. Each grade has its own patch, where the schoolchildren learn about plant growth and photosynthesis in different ways according to their ages. And then there was a project relating to flavorings in which the schoolchildren created their own fragrances and perfumes. And a class in Dormagen is currently developing a luminous sneaker, which teaches them among other things about how to build an electrical circuit. We also arrange laboratory days for secondary schools, with exclusive tours of the plants for pupils aged 14 and above. This affords them practical insights into the work of a chemical company and gives them the opportunity to experiment in a real chemistry laboratory. In short, the work of the initiative is very diverse and is still interesting ten years down the line. 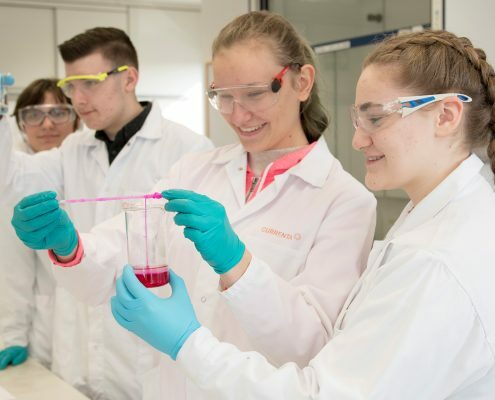 It is immensely important to us as a company that we connect with tomorrow’s chemists, engineers, and physicists while they are still in school and that we make them fit for the future.